After a stroke two years ago, Cathryn lost her mobility and could no longer talk or feed herself. After a lot of hard work that has now all changed. Cathryn, 56, has been with FitzRoy for just over eight years, living in our Nottingham Supported Living Service. 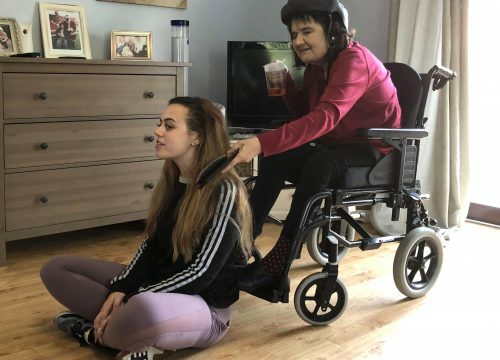 She used a walking jacket (a support harness) to get around her flat due to the complexity of her epilepsy and regularity of her seizures. This was the only way she could walk around her home independently, without falling and hurting herself. 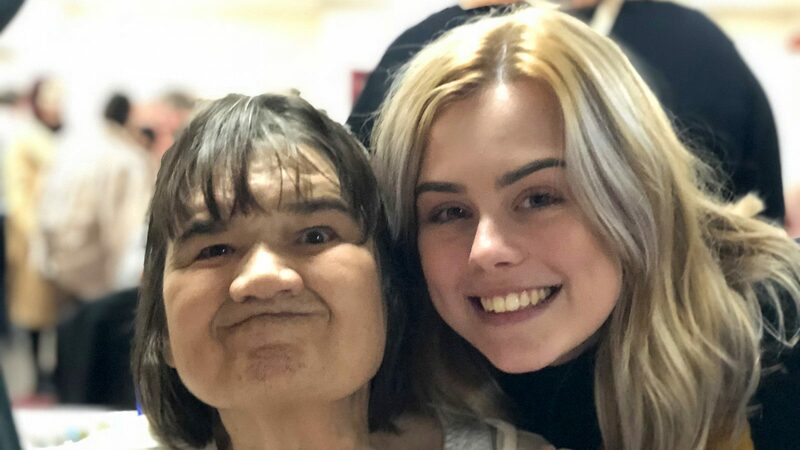 Deputy Manager Emily Priestley said: “When Cathryn had a stroke two years ago, she lost her mobility and she could no longer talk or feed herself. Once she was discharged from hospital, she came back to us and we wanted her to have the opportunity to walk again. 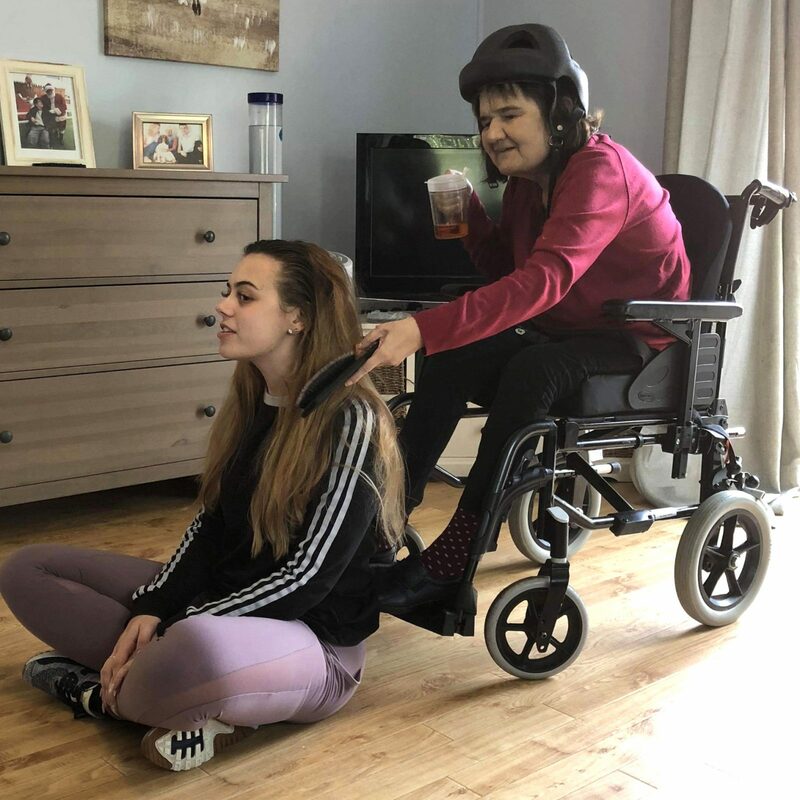 We asked the physiotherapy team if we could try her with her walking jacket and they taught us some techniques to help her, and they came once a fortnight to work with her themselves. 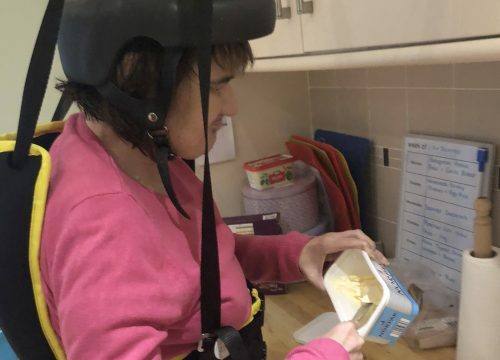 My staff team worked solidly with Cathryn for a year, to get her back to using the walking jacket and then, when she was confident enough, we supported her to walk into the kitchen and stand to make herself a cup of tea. “When Cathryn’s social worker recently visited her, after a gap of a year, she didn’t recognise Cathryn as her transformation has been so complete. 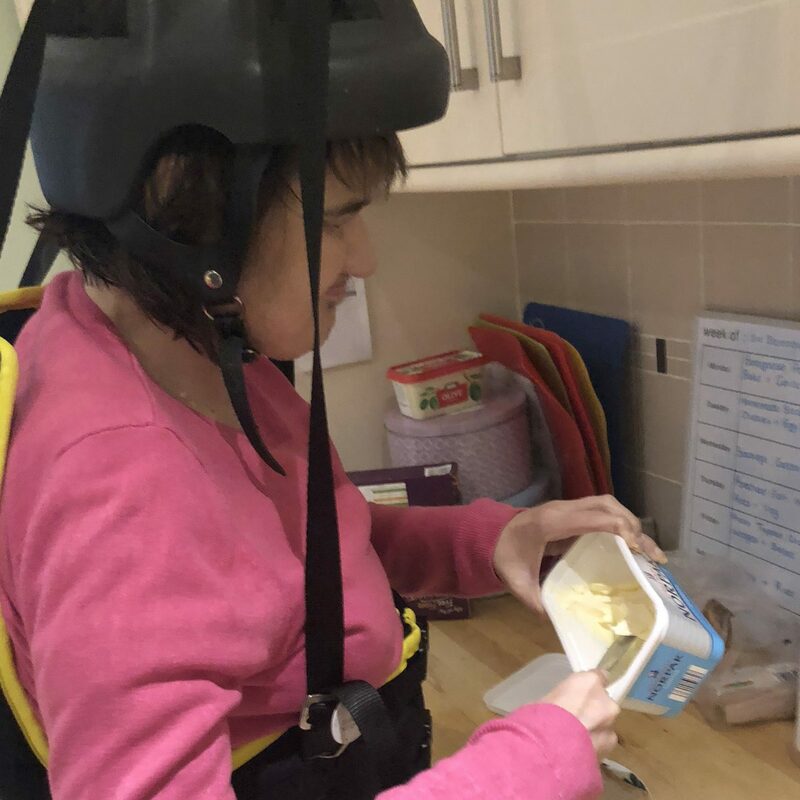 Cathryn is now feeding herself and talking, she also stood in her kitchen the other week and made her own sandwich!